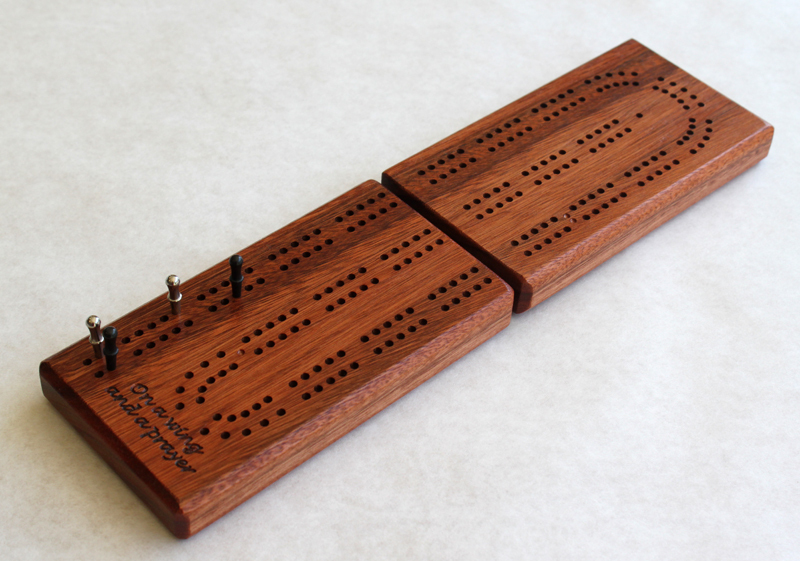 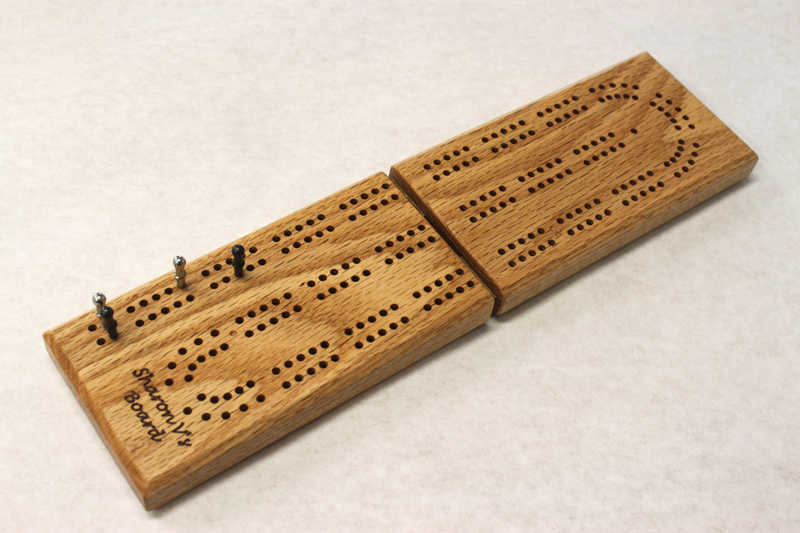 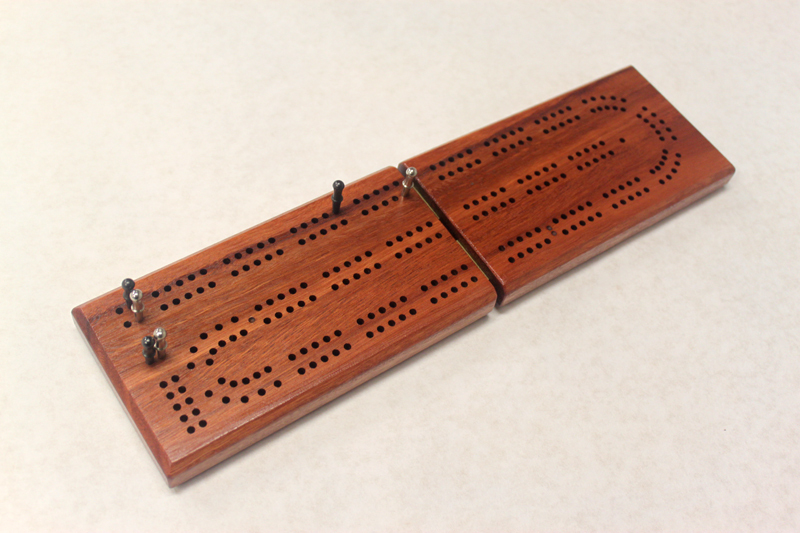 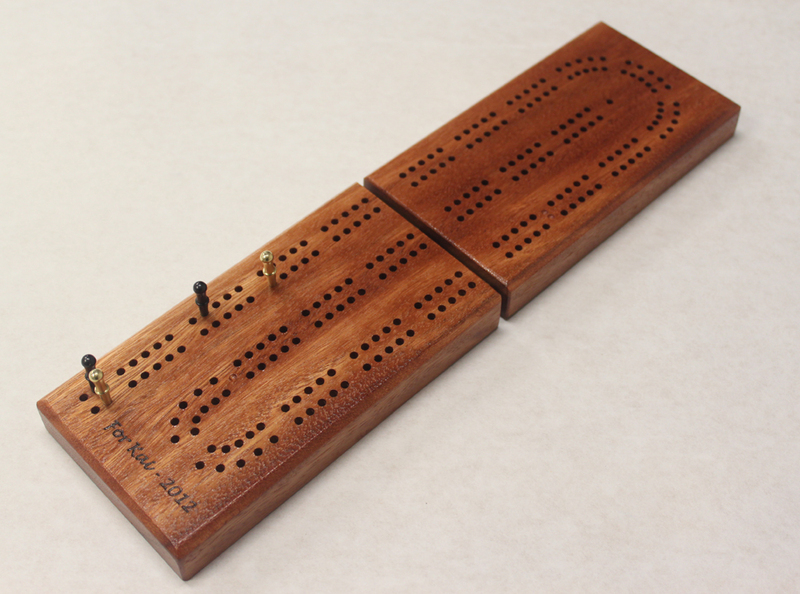 Here's a two track continuous folding board which you can order in a choice of woods. It measures approx 3.5" wide, 13" long when open and 3/4" thick. 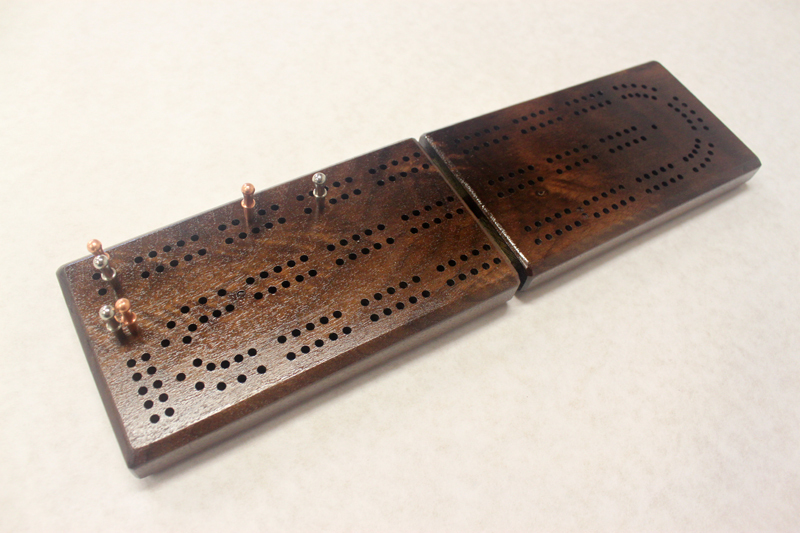 It holds a deck of cards and metal pegs, and is held closed by two rare earth magnets. Brass hinges are fitted to complete it. 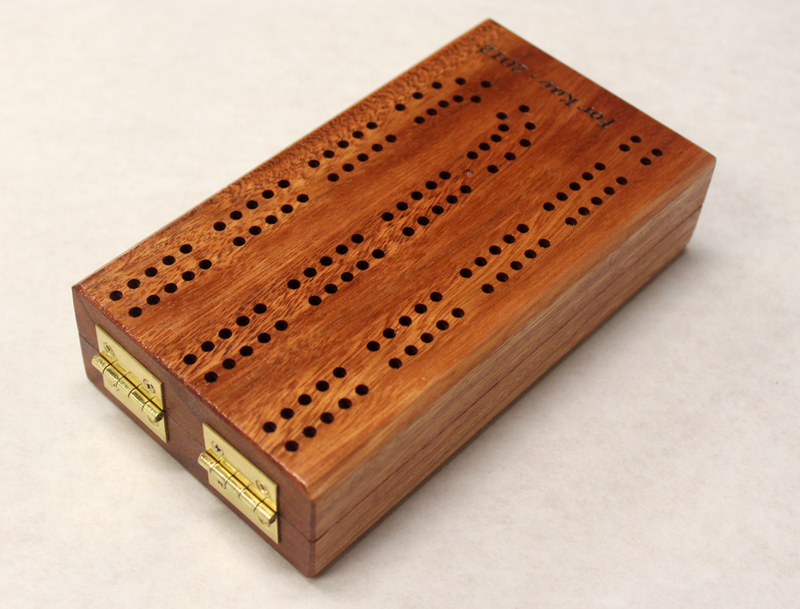 The price includes engraving on the top of a name or short phrase.